We all face choices throughout our lives on whether to hire someone or tackle a job ourselves. We might decide to paint our bedroom rather than engage a painter or spackle the ceiling ourselves instead of hiring a contractor. The effects of such choices are not life-changing. As long as we’re happy with the job we did, the calculation is based on how much we enjoy the results and value our free time. The equation changes, though, when it comes to your occupation. In that case, outsourcing can be shortsighted because it deprives us of gaining marketable skills and having more control over our budgets. This is especially true with programmatic advertising. If you’re a campaign manager and your job consists mostly of interfacing with a programmatic ad partner and updating insertion orders (IOs), there’s a strong likelihood that you understand little about programmatic. You’ve likely made yourself vulnerable to being replaced at some point. You’ve also missed a chance to drive more revenue for your company, which is the most straightforward way to show your value. Programmatic advertising is more than just a means of buying and selling ads. It’s also a vehicle for uncovering data and insights about consumers that can lead to more personalized experiences for them. Without any data to back up your ad creative decisions, you’ll rely purely on intuition. But it’s the data from your programmatic campaigns that fuels great creative on not just display but other marketing channels. Imagine a men’s fashion retailer that photographed four different models, each of whom looked like one of their target personas. You could run different ads with different models across programmatic channels to test what combinations drive the most sales for each persona. 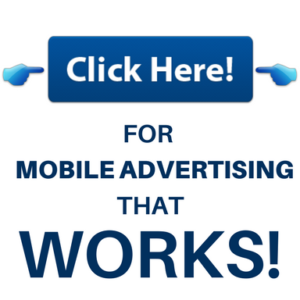 You can then take this ad creative and use it in targeted email campaigns or out-of-home advertising. These vital insights allow a brand to confidently run personalized campaigns at scale.